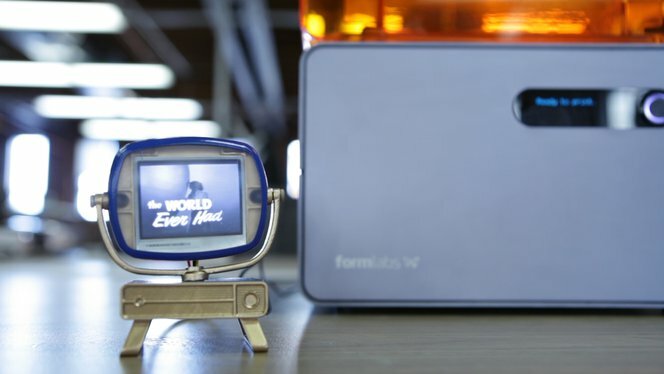 Download the .form files here to build your own Tiny TV. After the print was finished, I went through the usual steps of rinsing, drying, and snapping off the support structures. Then, I sanded it twice to get the smoothness I wanted, first with a rougher grain, then with a finer grain. Finally, I spraypainted the body, and painted on the finer details, before connecting it to the 2" NTSC/PAL display from Adafruit.